North Carolina’s “Unfair and Deceptive Trade Practices” statute is an important law for tenants who have sustained personal injury as a result of exposure to toxic mold. The Unfair and Deceptive Trade Practices statute allows for treble damages in certain landlord-tenant disputes. Additionally, if there has been an unwarranted refusal to settle the case by the landlord, the court may also award attorneys’ fees in its discretion. The Raleigh civil litigation lawyers of Maginnis Law offer free consultations for all toxic black mold cases and are happy to discuss whether the facts of your case would support an Unfair and Deceptive Trade Practices claim. You may reach the attorneys of Maginnis Law at 919.480.8526 or by using our contact page. To recover treble damages under an Unfair and Deceptive Trade Practices claim, a tenant must have been damaged due to a condition known by the landlord. In the toxic mold arena, this means the landlord must either know of the toxic mold or know of the defective condition causing the toxic mold. If the landlord knows of either condition, and he or she does not remediate but continues to collect rent, the jury may find that the landlord has committed an unfair act. (5) Consequential damages such as moving costs, cost of temporary lodging, etc. Maginnis Law regularly represents tenants injured by exposure to toxic mold in Raleigh, Cary, Durham, Chapel Hill, Wake Forest, Apex, Clayton, and the surrounding Triangle area. Our firm handles all toxic mold personal injury cases on a contingency basis so that you pay no attorneys’ fees unless you recover for your damages. All consultations with Maginnis Law are free of charge. Maginnis Law is a Raleigh civil litigation law firm servicing Wake, Durham, Chatham, Orange, Johnston, and Alamance counties. 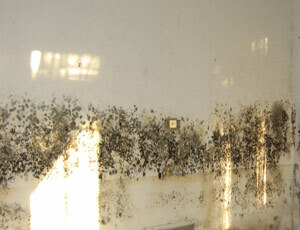 You may contact one of our toxic mold lawyers at 919.480.8526. If you prefer to discuss your case via email, visit out contact page.